There are few things I love more than being able to relax and give my face a really good deep clean. My pores are forever challenging so having a good face mask is an essential for me. Face masks were probably one of the first things I got involved with when growing up. 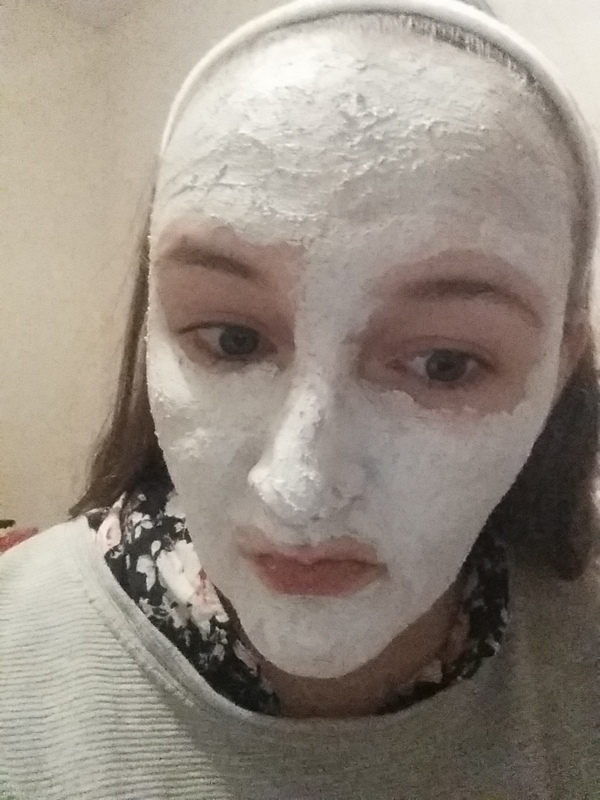 My mum and I used to have pamper days of face masks, giggles and doing my hair and I think that was probably the first time I appreciated the potential of beauty products and face masks in particular. I’ve had some amazing ones over the years that really bring out all the impurities but I’ve also had some shockers that seem to do nothing useful or worthwhile. The first thing that I find appealing about this product is the way the packaging follows the same lines as The Body Shop body butters and such. I love the slightly coloured plastic tub that provides security for the product. I’m never sure when I open it up if I’m keen on the aroma that pours out and into the air around me. It reminds me of those little tablet like sweets you find in Halloween and Christmas sweet multipacks; Parma Violets and Fizzers (both by Swizzels). It’s a bit disconcerting that you might be about to put something with the fizz potential all over your face but when applied the smell isn’t noticable at all. Looking at the product itself I find myself trusting it. You can see the little beads and pieces that are really going to get across and into your skin. Observing it closely it looks like everything you would want from a face mask. It is a sort of grey blue though which makes you initially look even more ridiculous wearing it than when most face masks are applied. It does dry a standard white though and the state of extra-silly is discontinued. 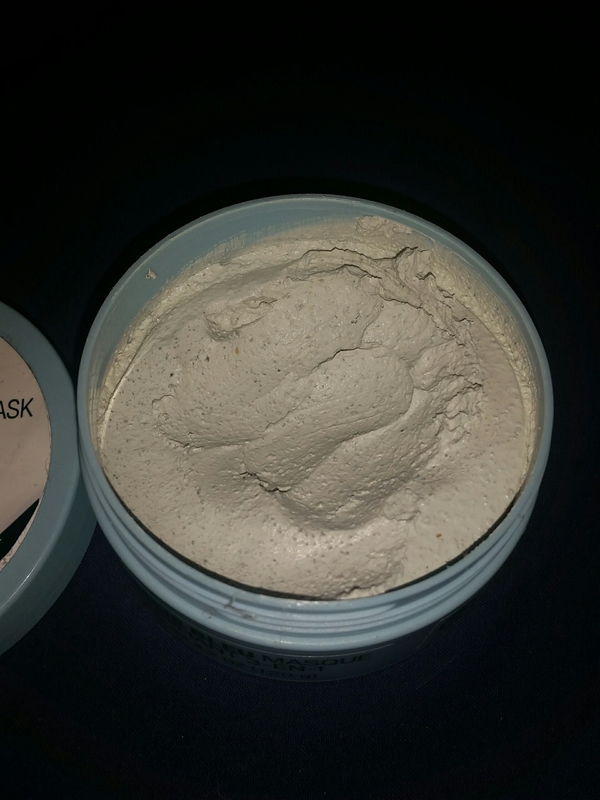 Despite the creamy texture this mask provides when you put it on it dries super well and fairly quickly. This is one of those masks that leave you struggling to smile without cracking it everywhere not long after application so don’t try watching something too funny whilst you have it on. The great thing about this product is that it has a 12 month shelf life and you don’t need to apply loads and loads of it. I see so many people plastering on £s worth of Lush face products because they only last a couple of weeks and come in massive tubs (which seems like a waste of money and product to me). With this you don’t have to rush to use it and can use as much or little as your face actually needs without using too much and doing your skin damage. Yes this product is £11 for a tub (though I got mine when there was a sale on or I had a discount code) but it will literally last you for months compared to how few uses you can get from Lush products for that price and this works a treat. It really draws out any of those unwanted things in your pores and on your face whilst leaving it smooth and refreshed afterwards. It also doesn’t throw off the skins natural balance so a few days later you don’t end up with horrible spots or extra blocked pores as your skin tries to adjust (I’ve found this from a few face masks I’ve used, if they aim at removing oil but remove too much so my body goes into overload etc). I absolutely love this product and would highly recommend it to a face mask regular or semi-frequent user. But beware it is always super chilling on the face when applied! This entry was posted in Beauty, Skincare. Bookmark the permalink. Nice review. Do you ever go into Lush? I find that I can’t bear the stench, even walking past the front door. When I was younger, I would sometimes use a Mudd mask (very cheap but no idea whether it is still sold). I used to love going in a couple of years ago but agree with you so much about the smell. I was in a shopping centre the other day and there was a pong overwhelming me and I knew that when I went round the corner a Lush would be right there. I used to use the Montage Jeunesse single use packets a lot as I was growing up. Think I loved the passionfruit one quite a lot. I see Mudd ones in Bodycare from time to time I think but not sure I’ve ever used one. 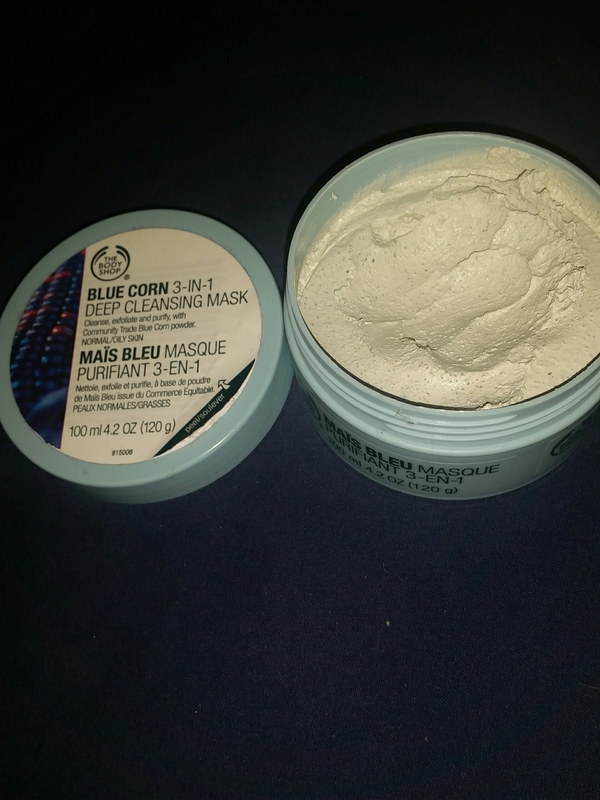 I love the body shops face masks I have the honey one and it’s amazing nice blog x.